We heard that the massive Tubbs fire up north had damaged some of Safari West’s property and wanted to figure out a way to help them get back on their feet. The Safari West Wildlife Foundation is a non-profit organization dedicated to creating wildlife advocates. They do so by providing an ongoing series of wildlife education programs for people of all ages at the Safari West Wildlife Preserve. Dozens of species of mammals, birds, and reptiles from Africa are available for face-to-face encounters. Safari West is also involved in conservation breeding to help bolster populations of endangered species such as the waldrapp ibis, addax antelope, Nile lechwe, and others. It turns out the Safari West gift store (online and physical) is quite popular. So, we thought it would be great to design a series of products that we could donate to the store, where 100% of the sales would go directly to the foundation. 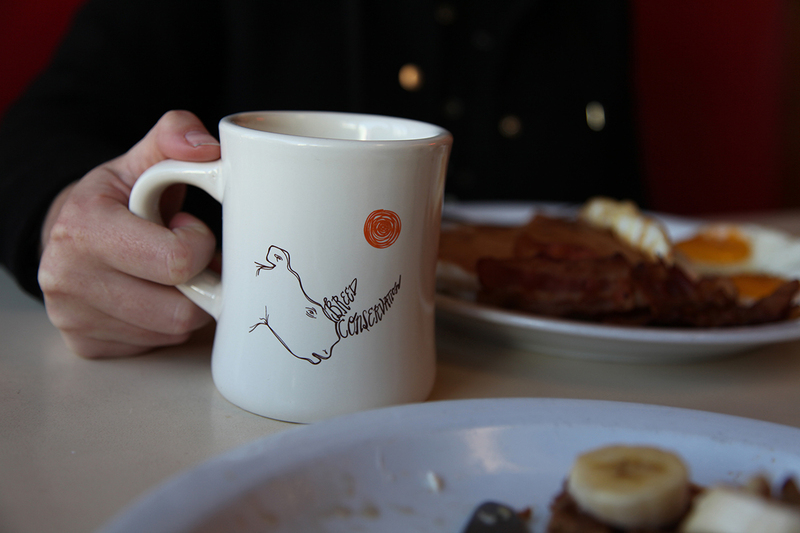 Doing some research, we discovered there were no coffee mugs available in the gift store. What kind of gift store doesn’t have coffee mugs?! 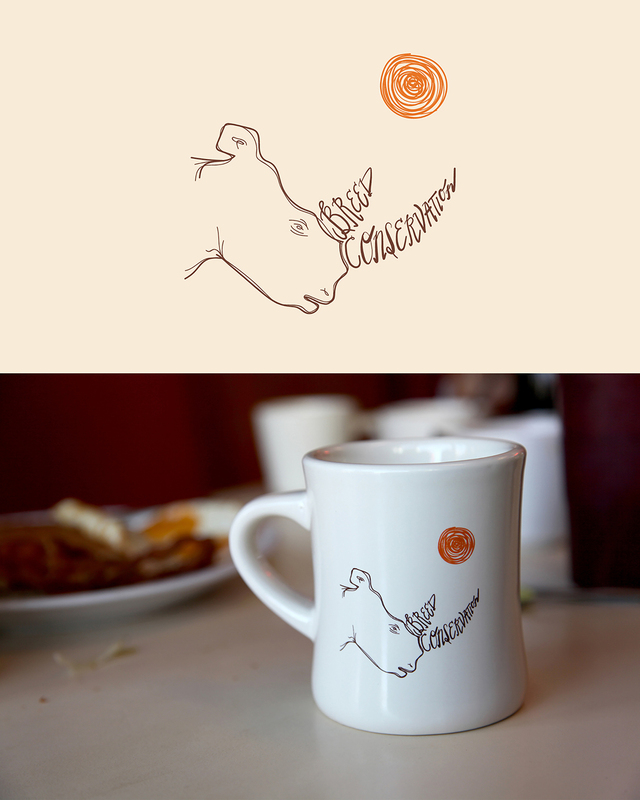 In response, we created a series of classic diner mugs. 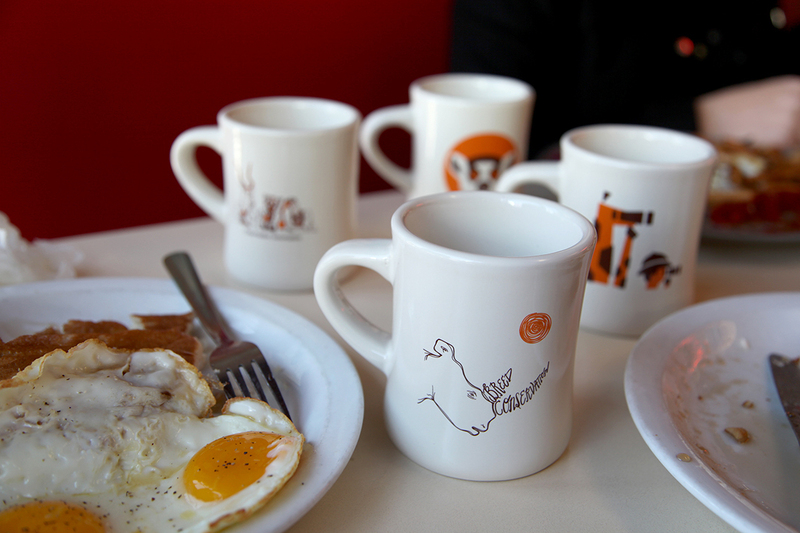 Each mug has a unique illustration that embodies the mission of Safari West through one of the animals they protect. My illustration focused on the southern white rhino.